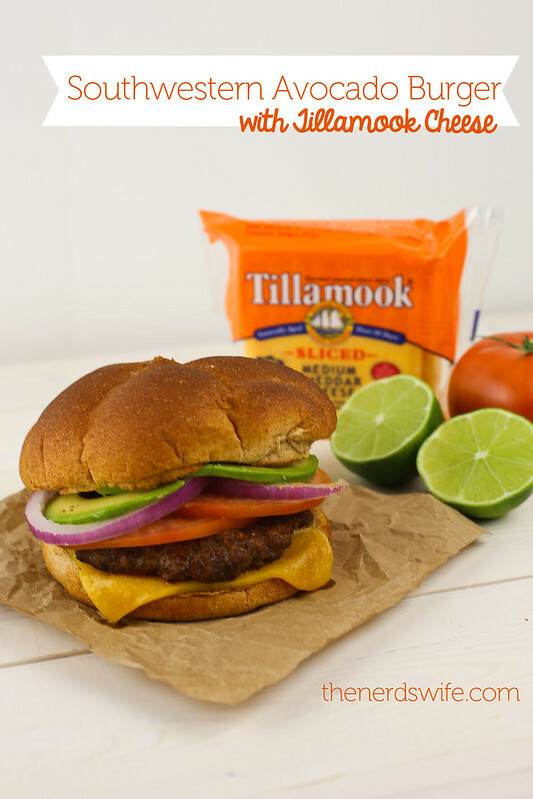 Last year, I had my first taste of Tillamook Cheese when they contacted me and asked me to create a recipe with one of their products. I had so much fun creating that Queso Blanco recipe. So when they contacted me again to create another recipe — this time for National Burger Month! 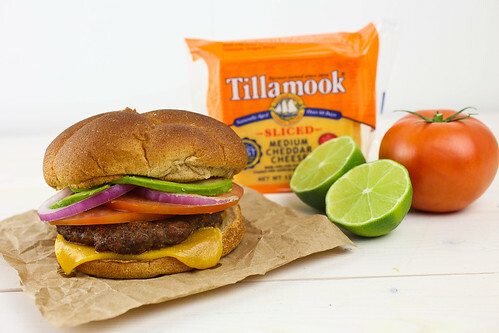 To prepare, Tillamook sent me a Cheeseburger Kit with a package of their Medium Cheddar Slices along with some other fun Tillamook promotional items. I love grilling when it’s hot outside, and May is the perfect time to start! 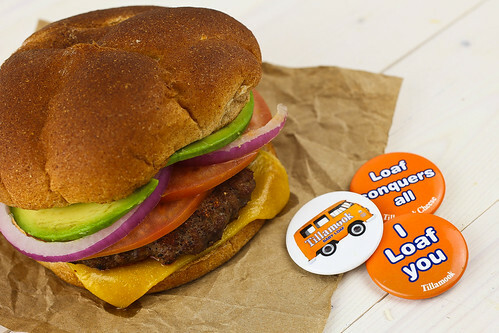 I love burgers because they are simple to make, and easy to customize to your own taste. This is an easy recipe that you can make, then top with our own favorite fixings. Form patties with the hamburger meat. Sprinkle with taco seasoning. It’s ok to be generous with it, if you don’t mind a little heat. Otherwise, a light sprinkling will do. Add a bit of salt and pepper. Grill the meat for 4-5 minutes on one side, then flip and grill on the other for 4-5 minutes until cooked through. Add the buns to the grill about 2 minutes before the meat is done to allow them to toast for a bit. You can also add a slice of cheese to the patties about 2 minutes before they’re done to allow the cheese to melt. When the meat is finished cooking, squirt a bit of lime juice on the cooked patties. Place the meat, cheese and other toppings on the buns and serve warm. 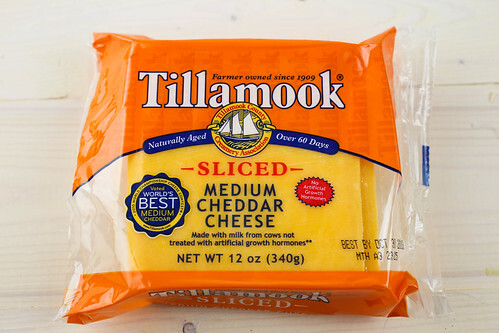 Disclosure: Tillamook Cheese provided the product mentioned in this post, along with some other promotional items, to facilitate this review. No other compensation was received. All opinions are my own. Photos are property of The Nerd’s Wife.